We hiked the Day Loop a few weeks earlier and were finally getting back to finish the North Long Hunter Trails. 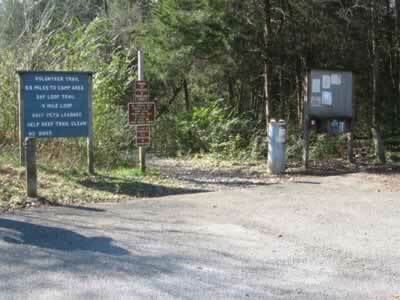 We are calling the North Trails, those that originate from Bakers Grove Trailhead. 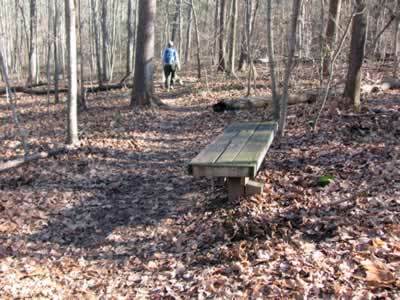 We enjoyed the other trails in the Park and were hoping the Volunteer Trail would be as good as the others. 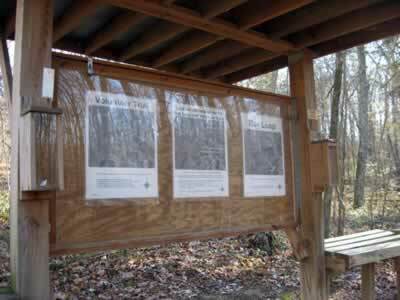 Go right at the junction, and follow signs for the Volunteer Trail. 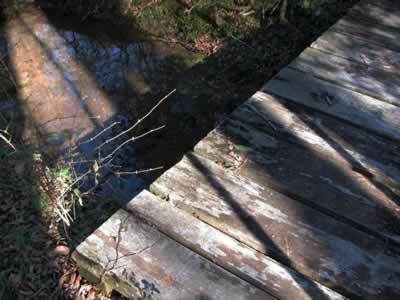 The trail stays to the right of a drainage as it gradually ascends. After a tenth of a mile the trail continues the climb, but it is steeper. 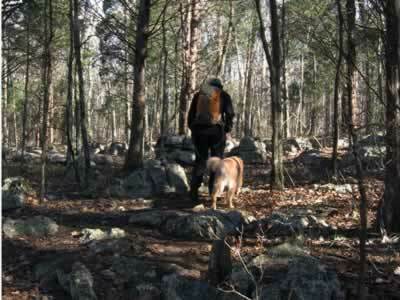 Working through rock outcroppings, the trail joins a road near the top of the hill. A bench is reached .60 miles from the junction. 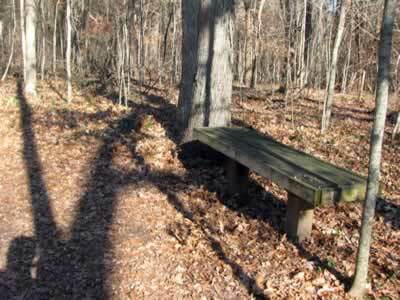 From the bench, it is a short distance to an old stone fence. 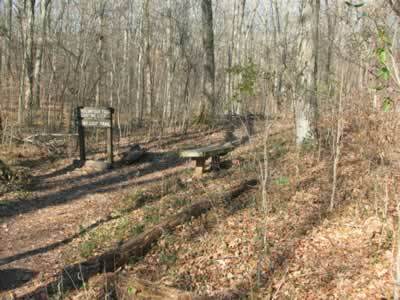 From the fence it is downhill to the 2nd junction with the Day Loop Trail - 1.35 miles from the trailhead. Turn right at the junction and check for any pertinent information at the kiosk. 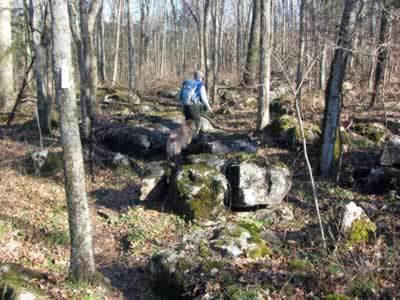 Just past the kiosk, the trail goes through a rock garden. 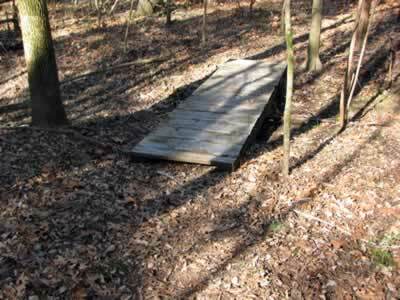 As the trail changes direction from heading north to heading west, an old dock(?) 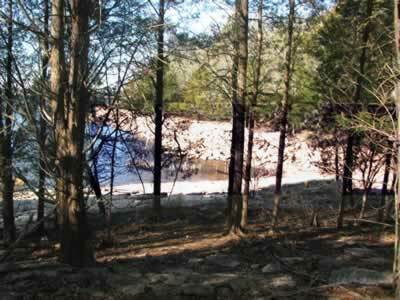 or structure can be seen in the cove at the water's edge. Heading west there were a couple of good views to the south. 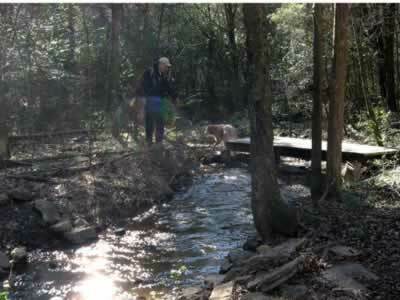 The trail generally follows the shoreline but the water is not readily accessible. 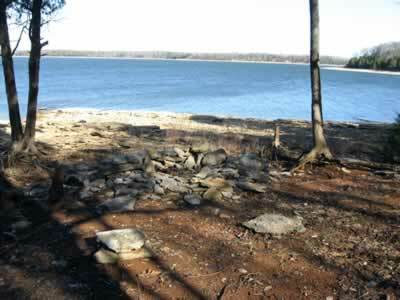 Another large rock garden is past, about .65 miles from the kiosk. 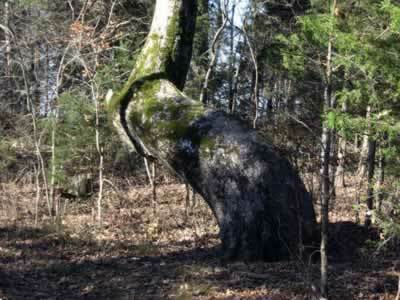 In .15 miles an unusual tree is on the right side of the trail. It comes out of the ground curving left, completes a ninety degree arc, and then shoots straight up to the sky. 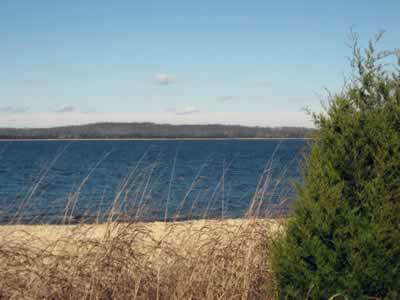 After passing the tree the trail continues close to the shore as it contours back north, then east, and then back west. It is .45 miles to a great shore access. 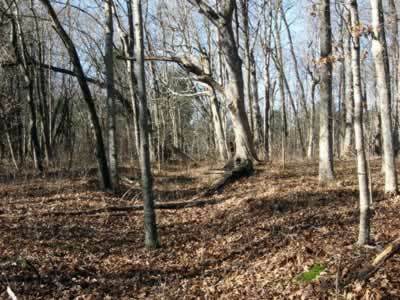 This is the area where Old Hickory Blvd used to pass, before the lake. There are a couple of unofficial campsites in this area. This is not the camping area. It is illegal to camp at any location other than the designated sites. 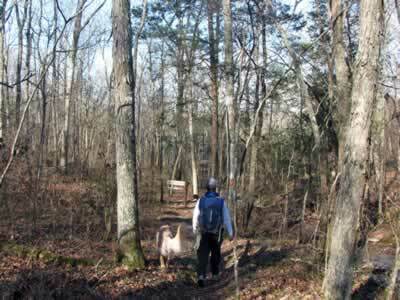 Continuing, the trail heads east, passing an old wire fence on the left in a few hundred feet. Once the cove is cleared the trail curves back to the north after .20 miles. 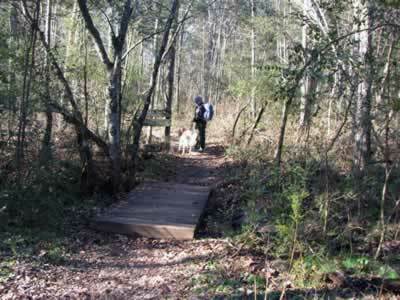 In .15 miles the trail passes through another rock garden. The trail continues to the north as it heads toward a hardly distinguishable without a GPS point! 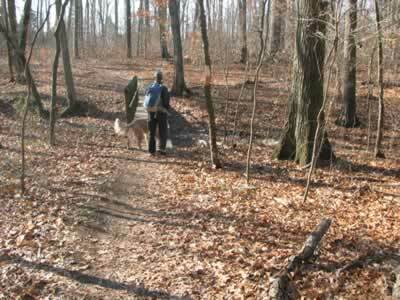 At the point the trail curves around and heads in a southerly direction. 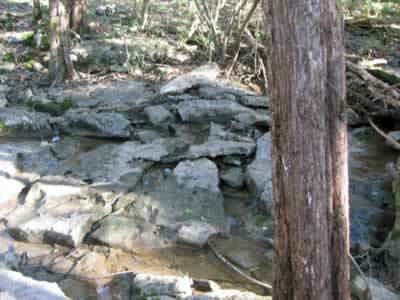 The old Suggs Creek flowed from the east to west into the Stones River. It passes below the point. In .10 miles an old road is crossed which probably went to the old Bannister Mine, now underwater. 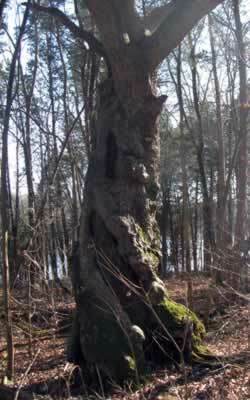 A tenth of a mile further, an old twisted tree is near the trail. In .40 miles from the tree, the first of three bridges is passed. It is almost 4 miles from the trailhead. In .60 miles the next small bridge is reached. A few places in this area the trail was harder to follow (in the fall.) Keep a sharp eye out for blazes or just continue to follow the shoreline. From the second bridge it is .70 miles to a creek or drainage crossing. Stones keep the crossing to a dry rock hop. Heading north, the last bridge is crossed in .15 miles. 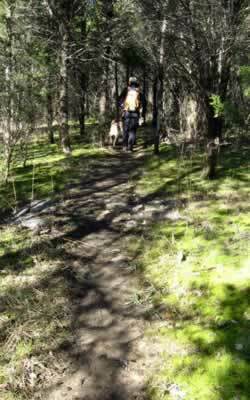 Turning west, a mossy cedar forest is entered in .15 miles. The campsites are just beyond. 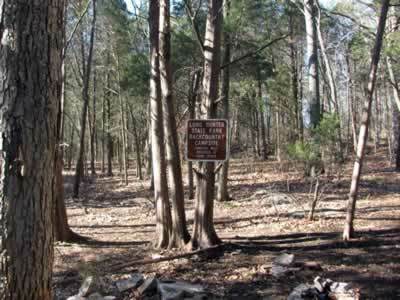 The trail is 5.6 miles long - one way. The trail does not loop.